It’s difficult to determine when sneakers became so popular. They got their start in the 1920’s when Converse signed Chuck Taylor to their brand to develop what we now know as their most classic style. Later in 1936, the Chuck Taylor Converse became the official shoe for the US basketball team as they participated in the Olympics. It wasn’t until 1950 that sneakers began to bridge the gap between sportswear and casual wear. This was largely thanks to James Dean and his love for Purcell’s, a sneaker designed by former badminton champion in a style that was later acquired by Converse. These shoes were similar to Converse, but appealed to a different portion of society and widened their reach, as they were prominent in the rock culture of the time. During the 1960’s and ’70s Adidas sports shoes rose in popularity. Later in the ‘80s sneakers became the hip-hop uniform of choice through Air Jordans and Adidas Superstars. Meanwhile, television reflected the growing obsession with white sneakers as they began appearing on stars such as Tom Hanks in Big, and Michael J. Fox in Back to the Future. For the time being, sneakers remained on the streets and sports fields. Technological advancements, experimentation with color and layering didn’t quite resonate with the public, that is until Prada got involved. They released the PS0906 in 1996, which was originally intended as a yachting shoe, and later launched a single sneaker on the runway with their Prada Sport collection debut in 1997. While sneakers attained their start in the realm of athletics, it’s only recently that they’ve wormed their way into high fashion. While men have been flaunting sparkling white sneakers for decades, it’s only recently that women have associated Balenciaga and other brands like Common Projects and Golden Goose with high fashion. 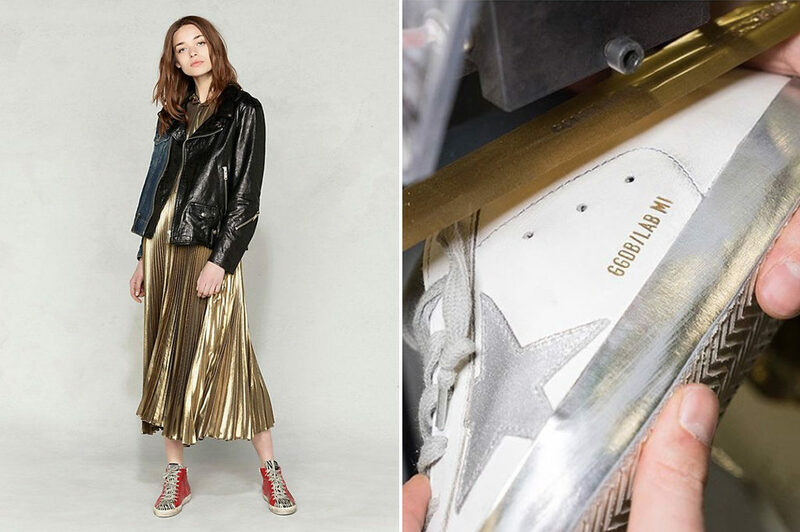 Golden Goose in particular, has attained particular success with the invention of their brand in 2000, as they were some of the first deliberately scuffed sneakers to appear on the market. In less than 19 years they’ve become world-renowned, cultivating a cult following and undoubtedly starting a trend. 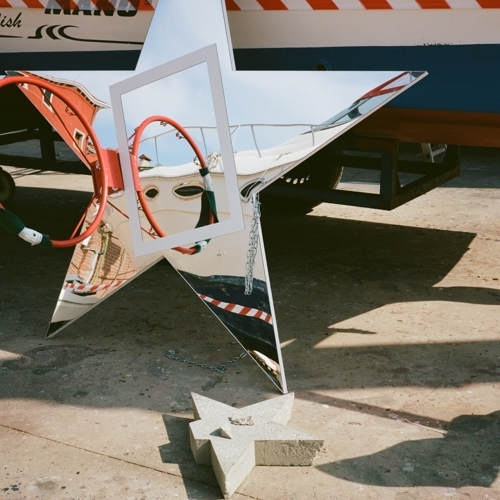 Created by two Venetian designers and fashion newcomers, Francesca Rinaldo and Alessandro Gallo, Golden Goose has gone above and beyond in producing innovative and spirited products. Today, the brand encompasses an entire lifestyle concept, with the idea that the “worn” quality of their sneakers sends a message that their footwear has been on a well-loved journey, encouraging the owner to keep exploring. While their sneakers may look distressed, the aesthetic statement doesn’t sacrifice high-quality levels of material and craftsmanship. All of their shoes are hand finished by Italian artisans, and the leather is as soft as butter — giving it a truly luxurious experience sans the pain of breaking in new shoes. This past year has seen sneakers in a variety of styles, from sneaker boots inspired by hiking shoes, to vibrant and colorful experimentations with proportion, as well as chunky soles. Thanks to how advanced shoe manufacturing has become, anything is possible. 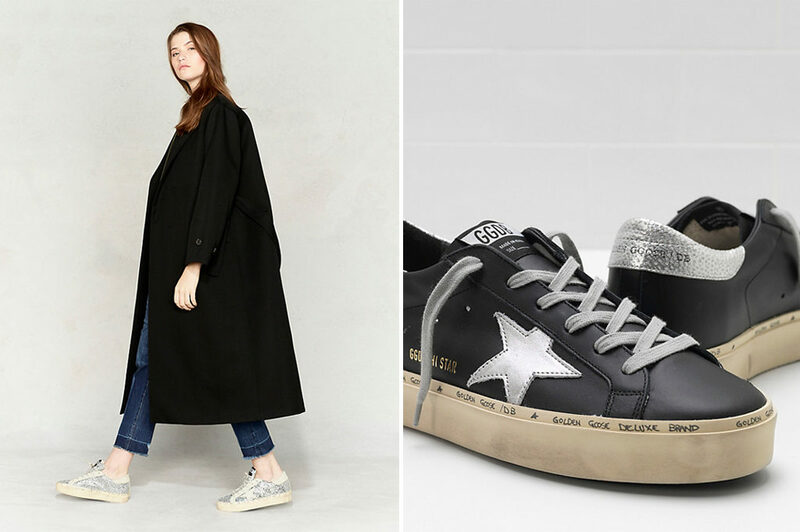 It’s said that the next trends to emerge will rely heavily on the use of texture, which is something Golden Goose has dabbled in, with more than one of its glitter-encrusted styles. Their latest collection from SS’19 features vibrant pink and coral hi-tops that coincide well with the revival of neon colors and coral as the color of the year, as well as navy suede mid-star sneakers. Golden Goose also offers a twist on the classic white sneaker, which is typically worn in pristine condition. A staple in any wardrobe, their shoes come in styles with silver and pink glittered accents, and a lived-in patina. Brands have finally realized that there is a lot to be earned through the creation of comfortable and stylish footwear. Luxury sneakers are being produced at a faster rate than ever before, and as a result offices, parties and even wedding venues are filled with sneakers in all shapes and sizes. This is in part due to the evolution of professional women’s lives. Women are increasingly working from home, and as such the “working woman’s” dress code from decades past is becoming obscure. Even those who work a normal 9-5 job are experiencing a change in their workwear as many women trade their heels for comfortable footwear. Or so the statistics indicate, as women’s sneaker sales have surged 37% throughout the U.S. in 2017, and sales of high heels have declined 11%. At a time when women are re-evaluating their roles in society and demanding a desexualization of the workplace, sneakers feel alluring. Nobody is insisting that wearing high heels is an unfeminist choice, but expectations that women should dress a certain way for men are changing and as a result, women are prioritizing comfort without sacrificing style. The most humble of footwear has held a stance at every price point you can imagine – from designer kicks costing hundreds of dollars to street sportswear that an average teenager can afford. They’ve been embraced by every group you can imagine, from women wearing blazers to those who stunt streetwear, to even high fashion stylists. In short, sneakers have become a classic and versatile addition to anyone’s wardrobe.